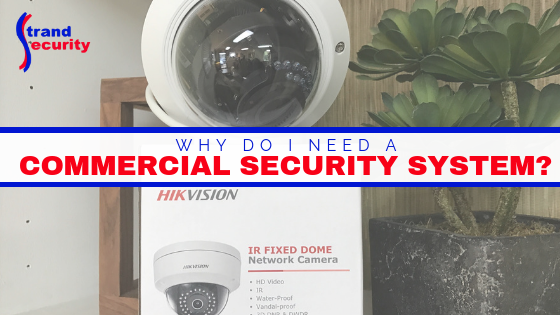 Why Do I Need a Commercial Security System? Do You Own a Business on the Grand Strand? If you are a local Myrtle Beach area business owner, let’s talk security! Crime rates in the Myrtle Beach area vary from town to town, neighborhood to neighborhood, but the reality is that with a transient community like Myrtle Beach which hosts millions upon millions of tourists every year, these tourists also lure crime and criminals to our area! If you are a local business owner, it stands to argue that you’ve been confronted with some sort of crime at your place of business. ✔️ loitering around your building? If you have, we are very sorry you’ve had to deal with this type of crime. We want to offer you a solution. Do You Value Your Business Investment? As a locally-owned and locally operated business, we fully understand the sacrifices and investment of time and money it takes to get a business off the ground. We understand you are building something for the future, for your family, for your community. We know this because we are living it alongside you. If you value your business investment, we need to talk about security! Our slogan is “your security, our business” and we mean it! We install, support and monitor residential alarm systems to protect local Grand Strand area families. What not everyone knows is that we also install, support and monitor commercial security systems. We are ready to partner with you and protect your business investment, your employees and you! Let’s talk about how a commercial security system can protect the physical location of your business as well as your reputation! As business owners, we understand you can’t be everywhere all the time! You put your trust in your employees, yet all responsibility still rests on your shoulders. A commercial security system will take away, in a way shoulder some of the responsibility for you! We offer Total Connect Video Services for your convenience because we know how busy you are! We work with business owners as well as property management companies. Isn’t it time you give us a call?